It’s a desire of everyone to have healthy white teeth. White and glowing shiny teeth leads to higher self-confidence while smiling. Plaque is the most common factor which cause gum diseases and infections. 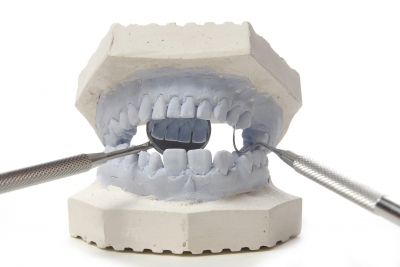 Plaque is made from mucus, bacteria and other particles. Bacteria in plaque and tarter cause gums irritation and inflammation. Some of the signs of gum diseases include difficulty in breathing, swollen gums, pain in teeth while biting food. We can prevent gum diseases by having good oral hygiene which includes brushing 3 times daily, flossing once daily, brushing gently and also replacing tooth brush after 2-3 months. This not only help prevent gum infections but also tooth loss and cavities. Other most important factor is what we eat. Eating healthy food is also beneficial for our teeth. Milk and yogurt can provide required amount of calcium to keep teeth and bones healthy. Ideal time duration to brush teeth is about two minutes. Brushing teeth with applying force is not the proper way to remove dirt and plaque. Place your toothbrush at 45 degrees angle while holding it instead of applying force. Different ingredients in tea such as flavonoids prevent bacteria from sticking to teeth and it also stops production of cavities. The best way to keep teeth and gum healthy is to keep them hydrated. Water is essential requirement of human body for process of biochemical reactions within the body. The more water you drink the more chances you have to wipe out bacteria from teeth and gums.